number of birds larger than it actually was. Crows do gather. 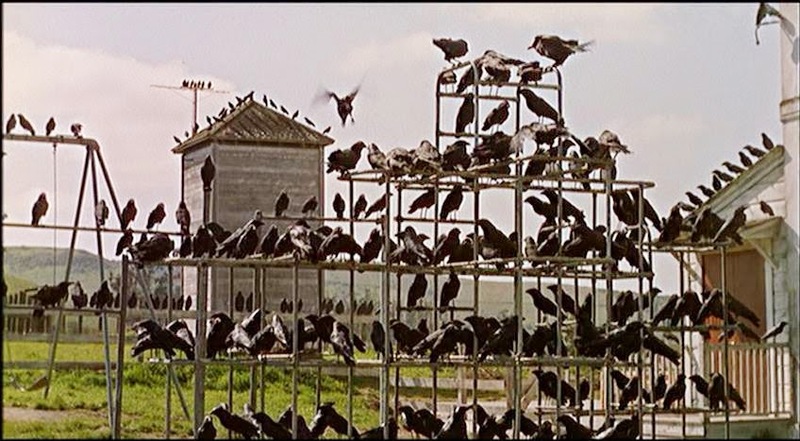 One of the key scenes in Alfred Hitchcock’s movie, The Birds, cuts back and forth between the inside of a small school and the progressively larger number of crows gathering on the playground equipment outside. In real life, when crows happen upon an owl they will sound an alarm call that draws other crows from miles around. The resultant mob of crows, all cawing loudly, will harass the owl until it leaves the area. Crows will also mob hawks. It sounds very much as if the crows intend bloody murder, and perhaps that led to the historic term. An oft-mentioned folklore on “murder” is that a group of crows can decide to turn on one of their own, pecking it to death. The truth in this is debatable. A solitary crow happening upon a crow family’s space will be set on, but driven away, not killed. These attacks can be many-against-one because families are more than just the mated pair. Offspring from the previous year or two stay near their parents and help with feeding and defending the new babies. During the spring/summer nesting season families are scattered, but in fall and winter crows prefer to congregate, especially at night. Foraging flocks of 10 to 50 will start to cluster as evening nears, then fly to join other flocks in a preferred night roosting area, where numbers can be as high as in the thousands. In northern regions these tree roosts may be in parks and cemeteries within cities; the thinking being that the winter temperatures in cities are slightly warmer than in the surrounding countryside, and also that the ambient night light of cities discourages marauding owls. 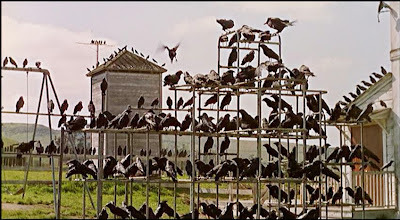 Locally, the population of crows has been impacted by West Nile Virus (WNV). The virus is endemic and non-lethal in many species of birds in Africa and the Middle East. It was first detected in the United States in 1999, in wild crows living at the Bronx Zoo. WNV then rapidly spread across the continent. Mosquitoes are the major vector, but raptors and scavengers can become infected by eating ill or dead animals. The viral strain that reached North America was particularly lethal to crows. 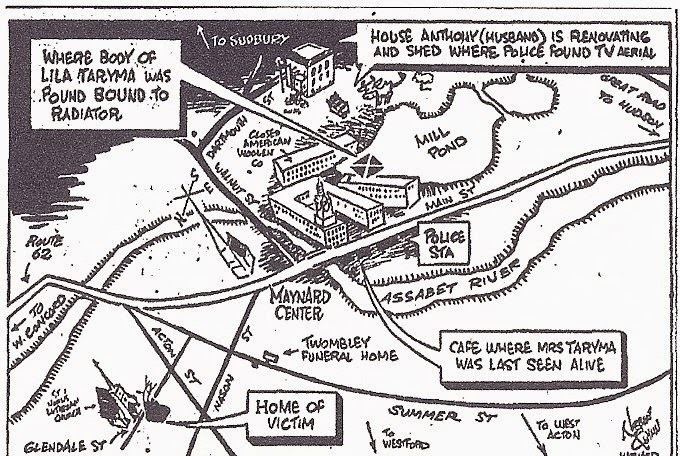 The crow population in Massachusetts is half of what it was fifteen years ago. There is evidence that the negative impact of WNV is stabilizing in recent years, with some states showing recovery from the lowest bird counts. WNV also infects people. Most will have no symptoms. About 20 percent will develop fever, headache, muscle ache, nausea or skin rash (risk of symptoms increases with age). Less than one percent will develop a severe illness. In Massachusetts there were fewer than ten cases reported each year for 2013 and 2014. WNV is not the only bird virus troubling the U.S. Apparently, wild ducks or geese migrating overhead over chicken and turkey farms in the mid-west have caused an avian flu epidemic. Tens of millions of birds are either dead, dying or else being euthanized to prevent spread of H5N2 avian virus to other farms. The risk of human cross-infection from this strain of virus is very, very low, but do expect to be paying higher prices for eggs, chicken and turkey for months to come. And pet food, too, as laying hens, when culled for declining egg production, end up in cat and dog food.